Latest rumours to circulate around the peninsula are those of Phillipe Mexes' possible transfer to Milan in the summer. The centre-back has been rumoured to leaving the Capital city for some time and it now seems that a move up north to the San Siro will finally happen. The Rossoneri have courted Mexes for several years, but there has been nothing serious has come from it however latest rumours suggest that Galliani has finally approached Roma for some serious discussions. Should Mexes join the Via Turati outfit he will undoubtedly be a useful buy for Milan who look to find a solid replacement for an injury prone Nesta. The ex-Italian international is nearing the end of his career and it is becoming more and more injury prone making it natural for the Rossoneri to chase after a player such as Mexes. He will undoubtedly be an asset to the team. You almost don't want Nesta to ever leave, same as Maldini, but we all know it will happen one day. 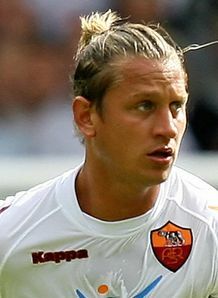 Mexes is a great player, and would play a giant role on Milans defence. But the other story/rumours that I've been hearing on (footballpress.net), great site, is the trade off between, Pato and to me the best right back in the game, sergio ramos. I think it would be a silly move to trade Pato at such a young age.